I’ll spare you from a long story and just give you the short version – I recently had to cut off all the leaves from one of my calathea plants due to our apartment temperature getting below 50 degrees while we were gone one weekend. Upon returning, the once vivacious plant had quickly taken a depressing turn. So, as one should do when this occurs, it was necessary to cut off all of the leaves to restore the plant’s health. 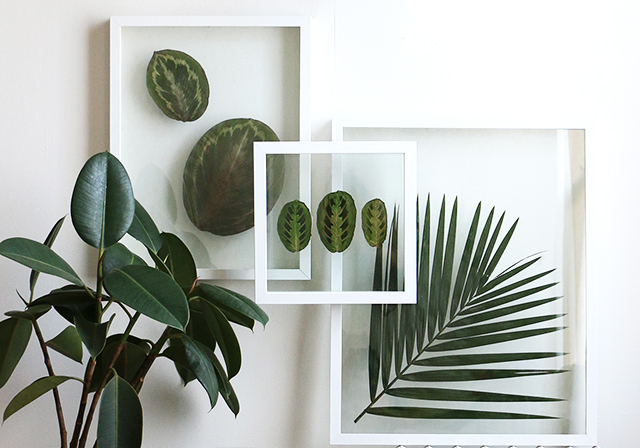 Since I couldn’t bare to part with the beautiful leaves, I quickly came up with another way to be able to admire them and turned them into wall art. And since I’m sure there’s not too many people in the calathea predicament I was in, it’s important to note that this DIY process works for any type of store-bought greenery, leaf, or flower as well! 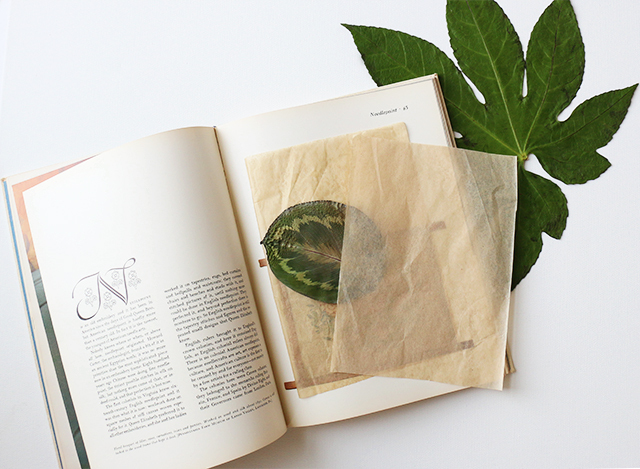 Step #1: While there are plenty of pressing methods – I find it easiest to just press my leaves (or flowers) by sandwiching each, individually, between two sheets of tissue paper and placing the tissue/leaf/tissue sandwich in the middle of a large book. Once evenly inside, lay the book on its side and stack a few additional books on top. Let the leaves dry for a few days – time will vary depending on the size and type of leaf. You’ll know it’s finished drying once you’re able to remove it with the leaf remaining flat and not curling at the edges. Step #2: Whether you’re using a floating frame, hacking your own floating frame, or using a regular frame with backing, the process here is the same – you have a front piece of glass and a back piece. Remove the back piece and position your dried plants to check placement. And make sure to clean off any fingerprints once you’re set on the placement. Next, add a couple small pieces of double-sided tape to the back of your leaf / leaves and place front-side-up on the frame’s back piece. Then carefully slide in (or position into place) and close the frame. Step #3: Now it’s time to display your new wall art. 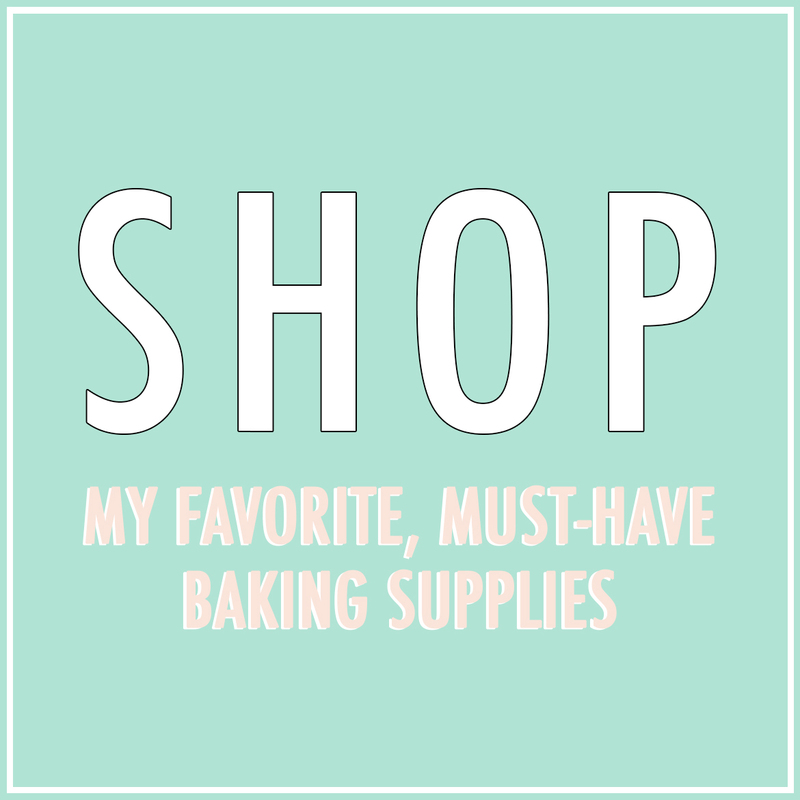 This wasn’t easy for me – it took a lot of time figuring out where I wanted to put them. 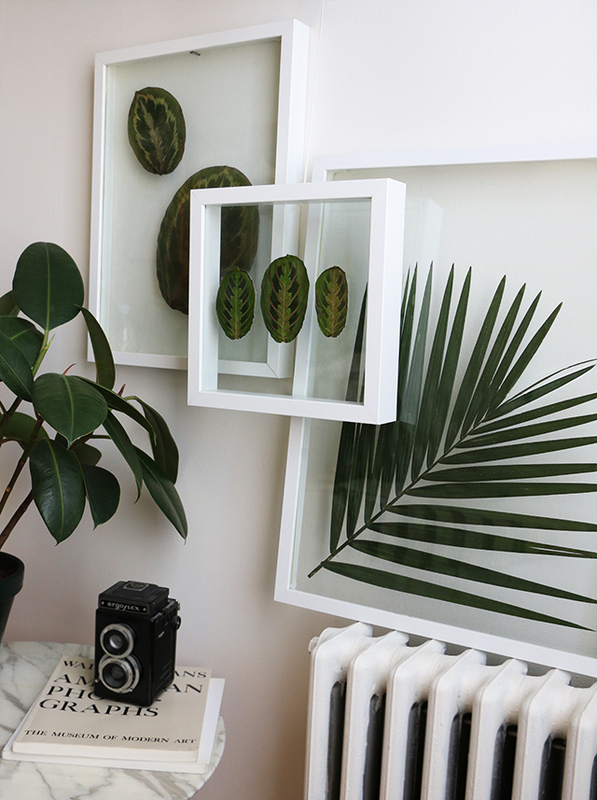 While I liked the look of the smaller frame on my wall shelf, I ended up going with them all grouped together, as I loved the way it emphasized the backless beauty of the frames. While I preferred the more monotone look with the green plants, think of how pretty these would look with dried flowers. A simple idea (and process) with endless possibilities. Lovely! Do you think you will have an issues with the color fading? you can see a little fading from the calathea plant – after you press it there won’t be too much additional fading. the palm stayed the most green out of all the plants, so i’d recommend using that if you can! where did you purchase your floating frames? my boyfriend says a regular floating frame would be too paper thin between the glass to place flowers. I haven’t found any he thinks would work. you can get them at a lot of places – they’re called “Float Frames” – a google search will pull up a bunch. 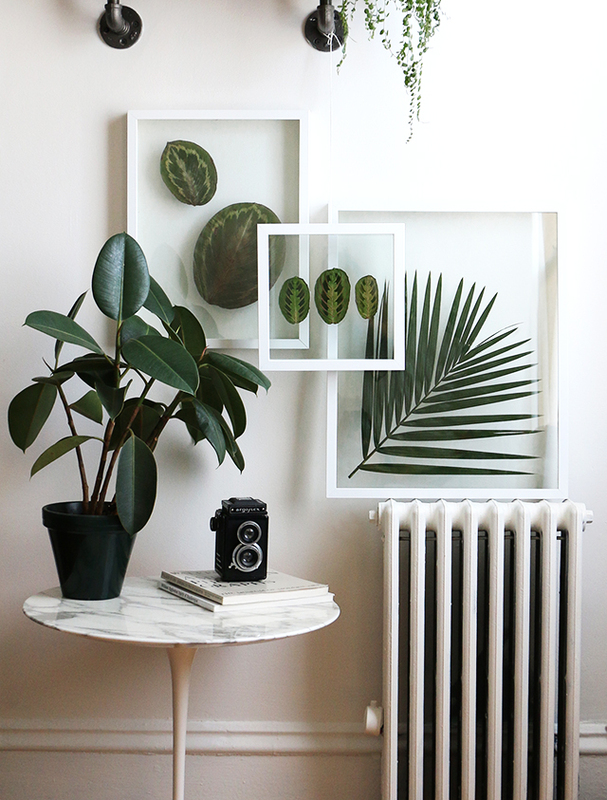 Anthro also has some nice ones – just search “pressed glass photo frame” on their site. Look forward to hearing you proved your boyfriend wrong! i’m having trouble finding ones like yours. i like that they’re white and simple. can you please share where you purchased them? thanks! WOW! Such a great idea! I press blossoms to use them for DIY projects, but it never occured to me to press a palm leave. I’ll definitely try it 😉 Thanks! Is it possible to make your own floating frames? What’s the size of the floating frames you used? 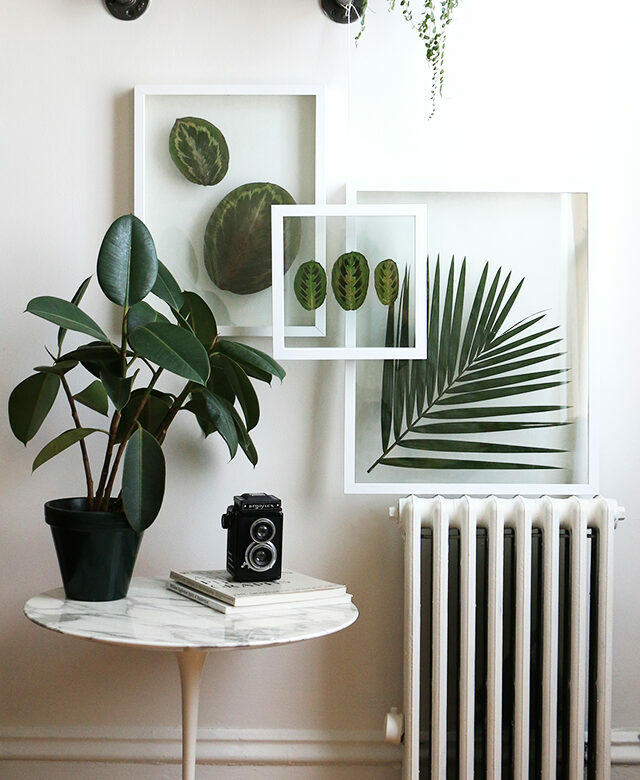 What kind of plant is in the photo right about the section about materials needed? 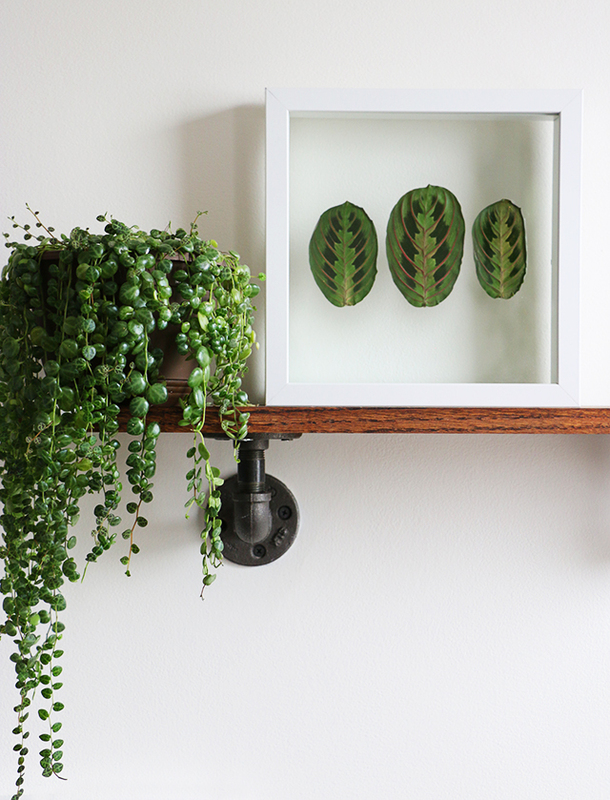 The photo is of a plant on a shelf with one floating frame that has 3 leaves pressed. Thank you! I love plants indoors and have seen this before but can’t seem to find out what it is.